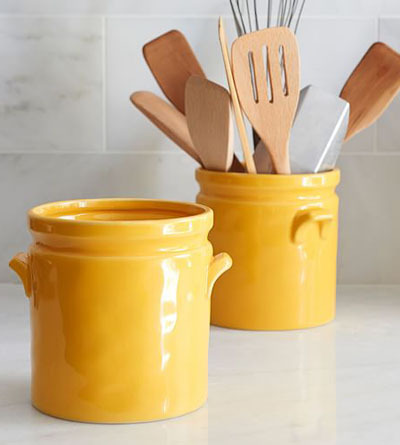 Keep frequently used cooking utensils right next to the stovetop in this Yellow Ceramic Crock. Its warm color and sculptured handles contribute to its vintage style. $24.50. Buy here.